In 18 months, the Instagram star’s three titles have sold more books than any other UK weight-loss title since records began. Instagrammer turned publishing sensation Joe Wicks is now the author of the UK’s biggest-selling diet books since records began. 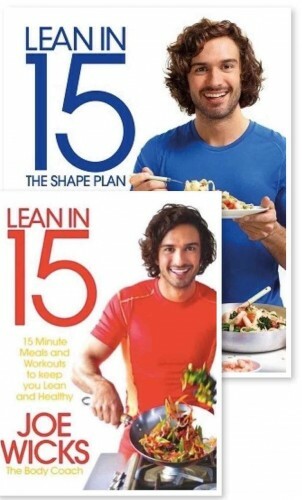 The Body Coach’s three Lean in 15 books have all taken the top spot from previous all-time bestseller Gillian McKeith’s You Are What You Eat, according to Nielsen BookScan. The short ebooks featured 10 recipes to preview the paper book. This was used to capture data about potential readers that the publisher could then employ in direct marketing of each recipe book. A day after releasing the short ebook, Lean in 15 went to No 2 in the Amazon charts and remained in the Amazon top 100 for 100 days before publication. Although eight publishers were interested in Wicks when he was touted by agent Jonathan Conway two years ago, the uncertainty over whether an Instagram success could translate into book sales is believed to have left Wicks’s advance looking pretty lean itselff.